I got this recipe from a Reddit thread. Someone said they made an IPA that was way too fruity for their tastes (said it tasted like fruit punch), and I was intrigued. After asking for the recipe, this person said that I could only brew it if I called it "Falcon Punch". The recipe below follows that one very closely. I'm hoping for a very fruity IPA with fairly mild but noticeable bitterness. This will also be my first IPA using Wyeast 1318. 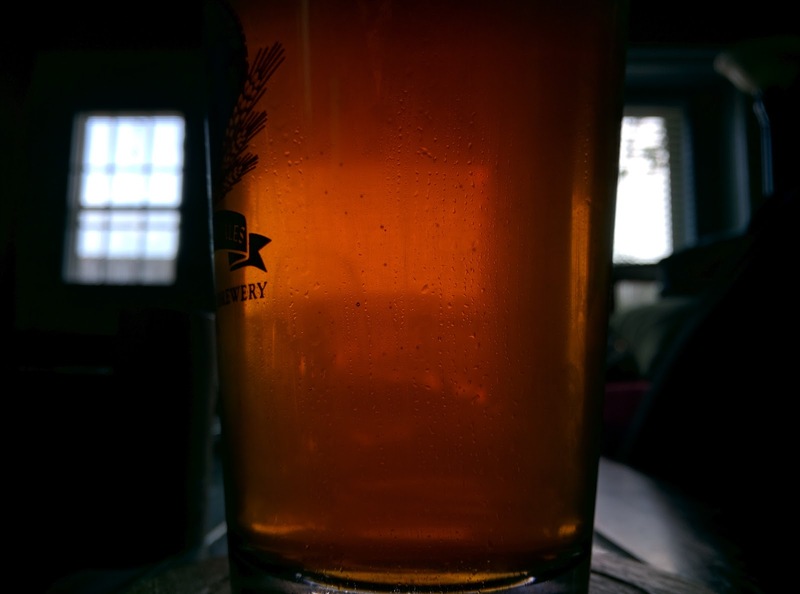 I've read that it is a good option for making the juicy "Northeastern style" IPA. Mash out at 170F and squeeze the bag. 4/17/2016: brew day. Brewing was uneventful. This was the largest all grain brew I've done to date. Had a hard time keeping the mash temperature at the target. It probably mashed closer to 145F, which is probably okay. For the yeast I took 2 TBSP wort from the boil and added water to cool it. 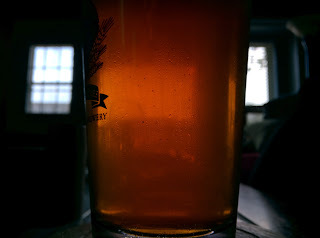 Then I took 2 TBSP of yeast slurry from the jarrylo ale that I saved and shook it several times in a jar. It started to wake up and produce CO2 I think. Then I aerated with the immersion blender. Gravity was 1.06. 4/19/2016: harvested some yeast from the cap. 4/21/2016: Knocked the yeast cap down a bit. Can't get an accurate read on the gravity. It is in the range of 1.018-1.024 or so at this point. Had a small blowout. Lid is unscrewed to help with this. in a moslin bag with a shot glass to weigh it down. Should have used a heavier shot glass...bag keeps floating to the top, much to my dismay. 4/26/2016: final gravity going into the keg was about 1.013. Purged the keg, put it in a warm spot to encourage the yeast to finish any remaining work. 4/29/2016: first tasting. 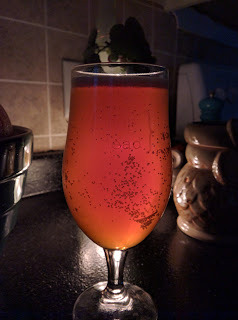 Carbonation is just about perfect. Serving at about 10 psi. It's good, but I think another well in the keg will help it. Good aroma, decent flavor. A little more bitter than I would have liked. 5/10/2016: had it at room temperature for about a week while on vacation. 5/27/2016: beer has dropped quite clear, though there is still a bit of haze. Still a slightly toasty, bready flavor, but it is not as obvious anymore. Soft mouthfeel, slight carbonic bite. Head sticks around for a while. Hops flavor has fallen away a bit, but it is still big. The early bitterness has softened slightly. Still has a good, fruity citrus flavor with maybe a touch of resin and pine. Light enough to be a freshing summer drink. 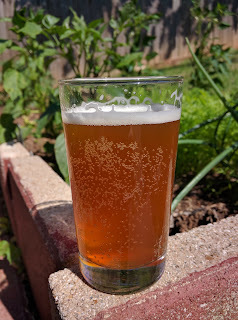 I would change up the hops a bit in the future, but I am pleased with the results. 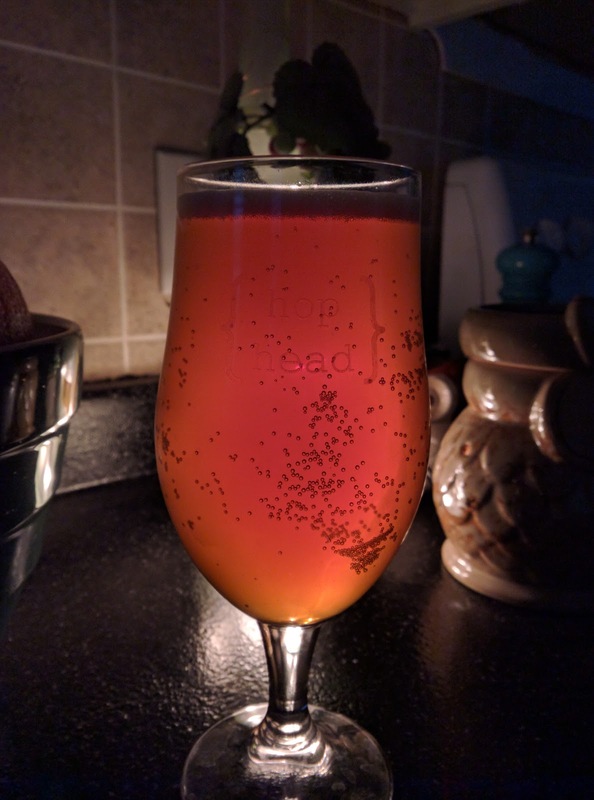 5/31/2016: I think the "toasty" flavor is gone...given that the beer has dropped quite clear, maybe it is a yeasty flavor I taste. In any case, in typical fashion, the last few glasses taste the best. Very "juicy" at this point. 6/5/2016: keg kicked, roughly 240oz served. Once that yeasty flavor went away this might have turned into the beer I've enjoyed the most...that I've made anyways.